Most supermarkets and large grocery retailers are required to display unit pricing under the Unit Pricing Code, which was introduced in 2009. “Consumers can easily save money by taking advantage of unit pricing. For example, this week the ACCC went shopping for several common grocery items - carrots, apples, bread, chicken breast, eggs, rice, milk and chocolate - and found that if consumers compare different brands and sizes, as well as pre-packaged and loose products, they could save around $250 each year on these products alone just by selecting the product with the lower unit price,” Ms Rickard said. While common grocery products must carry a unit price, some items are exempt such as perishable or discontinued products that have been marked-down, or particular items such as stationery. Unit pricing may also not be available in smaller stores or shops that sell a limited range of grocery products. 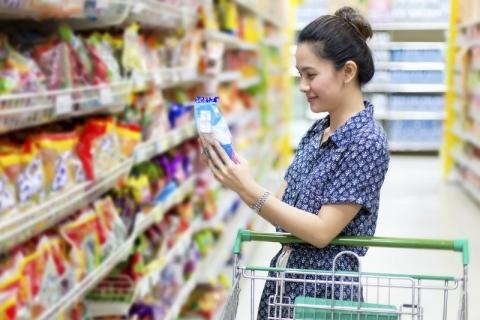 The same product may be sold in different parts of the supermarket, for example, cheese, meats, seafood, nuts, fruit and vegetables. So, compare unit prices in different parts of the supermarket.